Spring is on the way, which means that retail stores are launching new product lines and in-store displays focused on the upcoming summer months. Spring is a time for new beginnings, which offers a great opportunity to review and think your overall retail merchandising strategy and execution. Doing so will revitalize your store’s look, and could lead to better customer engagement and higher sales. It may also be a good idea to refresh your point of sale equipment at the same time, which could help achieve those same goals. 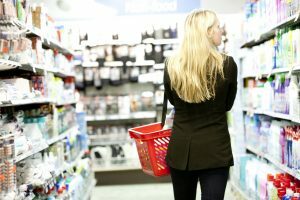 In a recent article, PointofSale.com laid out five retail merchandising mistakes to avoid. We’ll discuss them below. The shoppers of today are busy, and are probably coming into a store with a specific idea of what they’re looking for. Grouping like items together, adding signage, and posting a map of your store can help ease confusion and frustration. A good merchandising plan includes: a seasonal plan for each department, a budget for store fixtures and signage, and a merchandise planning system to maximize turn and minimize markdowns. Leverage this potent sales zone by offering add-on products, and highlighting new and best-selling products behind the registers. Did you know? Mirrors placed smartly throughout a store can improve customer behavior, reduce shoplifting, and make smaller spaces look larger. Much like you review your employees’ performance, it’s important to review the performance of your merchandising, signage and displays. Are they maximizing or hurting sales? How can they be improved? Use your point of sale system to run and analyze sales and inventory reports, which will help you find new and better ways to merchandise your store and increase sales. As retailers work to improve store performance, Retail Tech is there to help with a wide variety of new and refurbished POS equipment. We offer installation and staging, PoS printer repairs, and more. Contact our POS systems specialists for help finding the perfect point of sale solution for your retail store.